Our office is located in Marietta and our firm specializes in helping clients navigate the waters of Georgia business, estate planning and probate Law. When you put your trust in us, we make a commitment to you. We commit to do all that is necessary under the law to protect you or your interests, whether that is protecting the estate from attack, holding someone accountable for fraud on the estate, or for taking advantage of a loved one or guiding you through a complex and complicated business dispute. We are Atlanta based but have appeared through out Georgia in all of our practice areas. We understand that at times you need local counsel and because of our vast experience we are that local counsel whether it be in Brunswick or Athens or Atlanta. You can trust that we will have your best interests at heart and that we will achieve what you need to accomplish. On every case, our clients get first hand attention from Mr. Faulkner from the initial consulation to the final letter. You will only deal with Mr. Faulkner on all of your matters. You will not find a more committed Atlanta based lawyer to put your trust in. We are Georgia Probate lawyers and business lawyers you can trust. Have a question about your estate? Free consultation. Open an Estate, Estate closure, Draft simple Will. Georgia based prestigous boutique law firm specializing in Estate Planning, Business and Corporate counsel, Probate, fiduciary and business litigation. It is our mission to strive for legal excellence on behalf of every single one of our clients. We are driven by providing real world results for clients to better their situations, to provide quality counsel and top tier representation. Our focus allows for specialization which can deliver the results clients need. With our business clients, we strive to provide real world guidance and counsel, with strong and aggressive representation when needed. Our mission is to provide every business client with the highest level of service and expertise. We aim to be the trusted legal partner businesses turn to for counsel. We handle matters for clients in such areas as formation, merger and acquisition, contract drafting, employee/contractor counsel, corporate formalities, strategic planning and litigation when necessary. The principal of the firm, Stan Faulkner, worked in business and sales before entering law school. Upon graduation, he was mentored by a world class business attorney in St. Louis for 8 years. In that environment he also assisted business clients with estate planning and business succession as part of the practice. It was a natural progression when he relocated to Atlanta to maintain his focus in business, estate planning and probate. From his early practice environment, Stan Faulkner learned the value of attention to detail and first class service for clients. We highly value maintaining a current education in the rapidly changing business and probate/estate planning environments. Clients count on us to understand current trends and provide real world advice. We are not all things to all people. We focus on two main practice areas so that we maintain a high level of expertise in those areas. We often refer clients out to other practitioners when a situation falls outside our expertise. We do this because we believe that providing expert guidance in select areas is the only way to provide the very best guidance to our clients. Anything less should be unacceptable. Mr. Faulkner is an experienced counselor and litigator with 15 years of experience, having held bar licenses in four states (Mo, Il, Ct and Ga). He has litigated in state and federal courts with much success. He has also appeared in the Court of Appeal in both Missouri and Illinois. Through is efforts, he has achieved significant results for his clients, including a settlement worth $39 million dollars for the residents of Hartford, Illinois. Mr. Faulkner uses this experience and focuses his skills in the pursuit of assisting individuals in probate (trust and estate) matters, guardianships and conservatorships, estate planning, business disputes and contract disputes.He istireless in serving the needs of his clients. 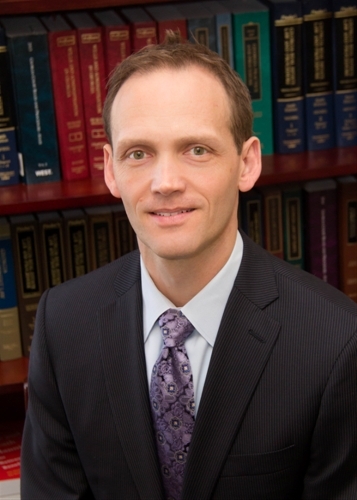 As a Georgia attorney, Stan manages an active case load and focuses on helping clients achieve their goals. Stan is originally from St. Louis, Missouri and has practiced law in Missouri, Illinois, Connecticut and Georgia. He started his practice in St. Louis and southern Illinois where he helped clients resolve difficult problems in probate, personal injury, business and contractual disputes and environmental law. Outside of the office, you can find Stan spending time with his lovely wife, twin daughters and young son, involved in various activities from cheerleadingto baseball. In his free time, Stan stays active in the Crossfit community competing in local and regional events. Stan is also an avid St. Louis Cardinals baseball fan and enjoys watching and attending college football games in the fall.